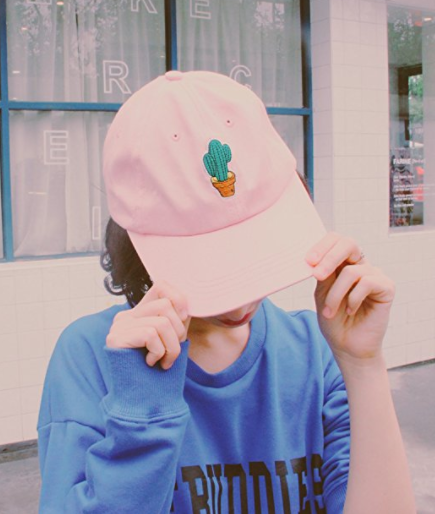 The cactus = the best plant. Forget about them for four months and they'll be just fine. 1. 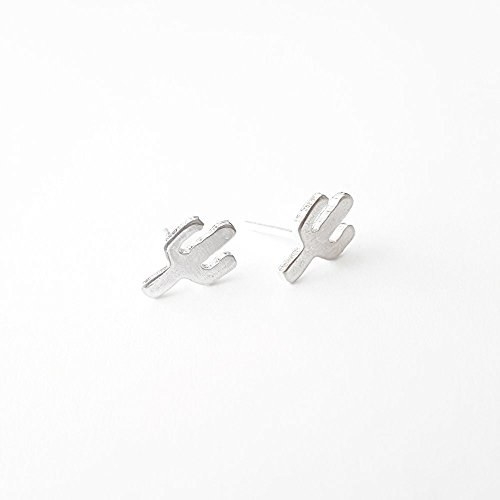 A pair of delicate silver earrings you'll never want to take out of your ears. Simple enough to wear with anything but quirky enough to amass all the compliments. Get it from flyingtutu on Amazon for $18. 2. A pillow that will look right at home on your couch. 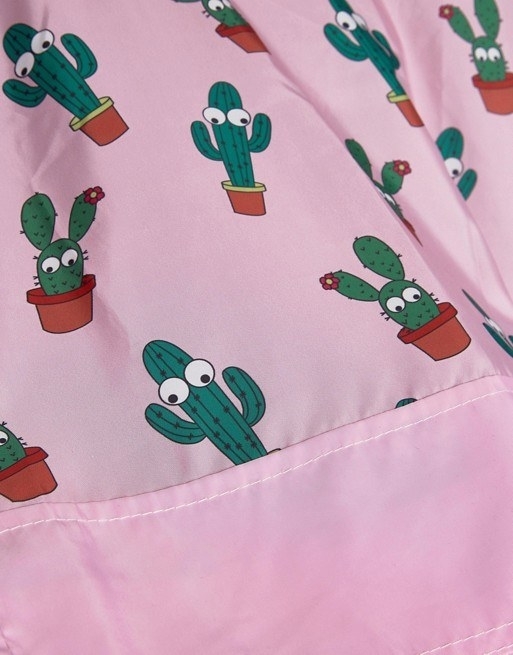 Finally, a cactus you hug. Get it on Amazon for $22 or Kikkerland for $22. 3. A little nightstand container with a cactus on top for easy opening. 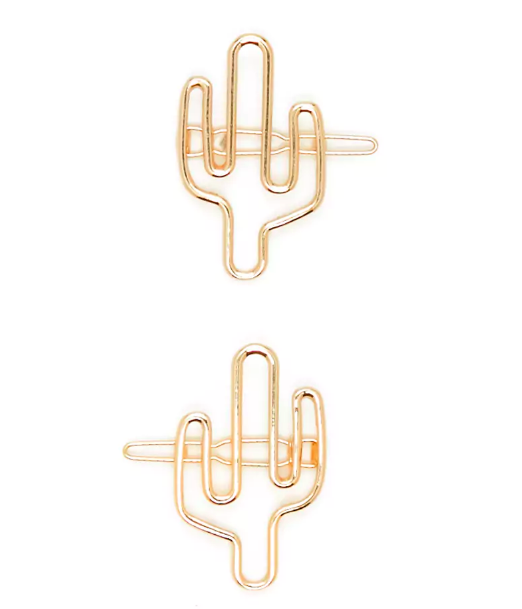 Perfect for keeping your cactus polaroids in. You know, for research. 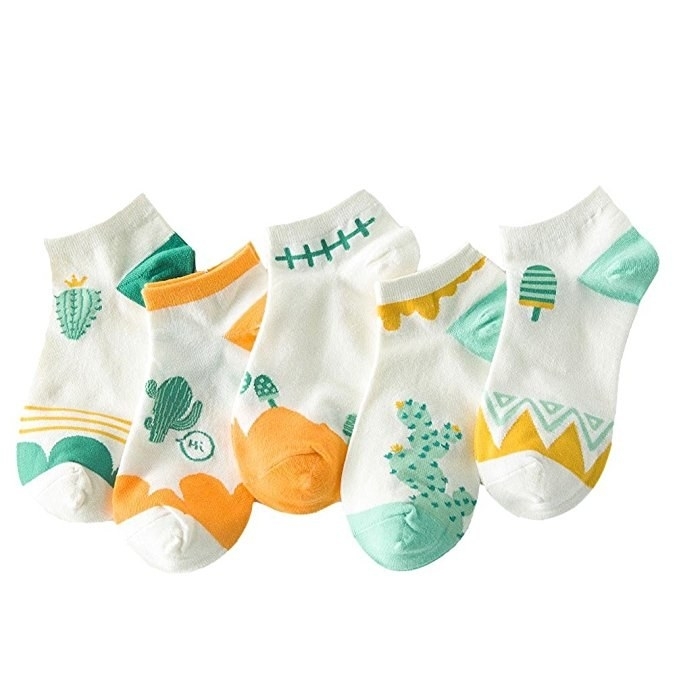 Get it on Modcloth for $9.99. 4. A sloth pin that combines two of our interests beautifully. Experiencing some Kristen Bell-level emotions for this pin right now. Get it on Etsy for $8.59. 5. 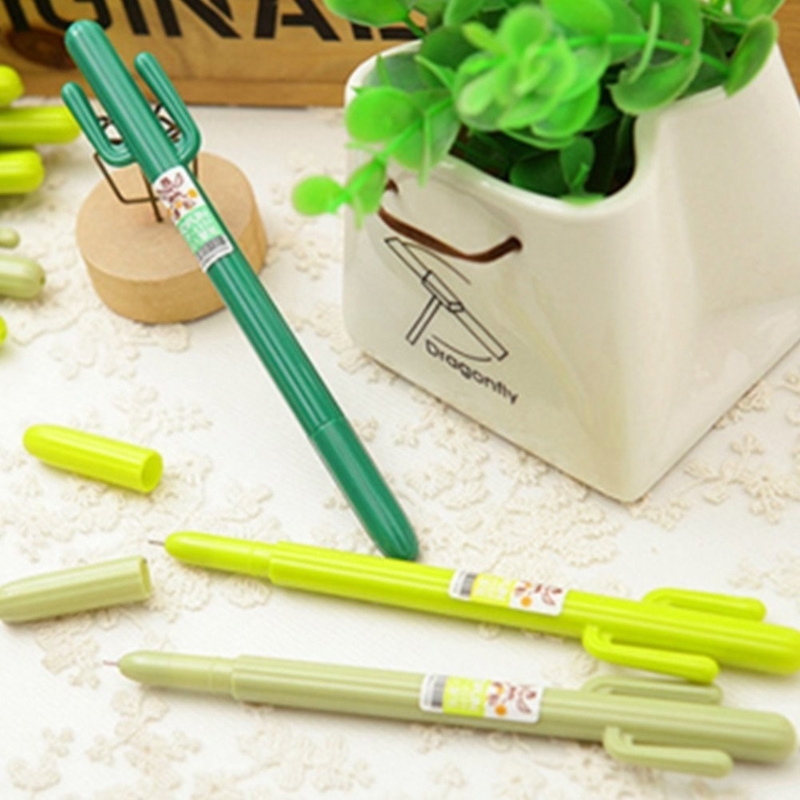 A pack of fancy pens or a happy wooden pencil for sending adorable notes to your friends. Handwriting letters is gonna make a come back, we swear. Get the pens on Amazon for $7.99 or the pencil on Urban Outfitters for $7. 6. 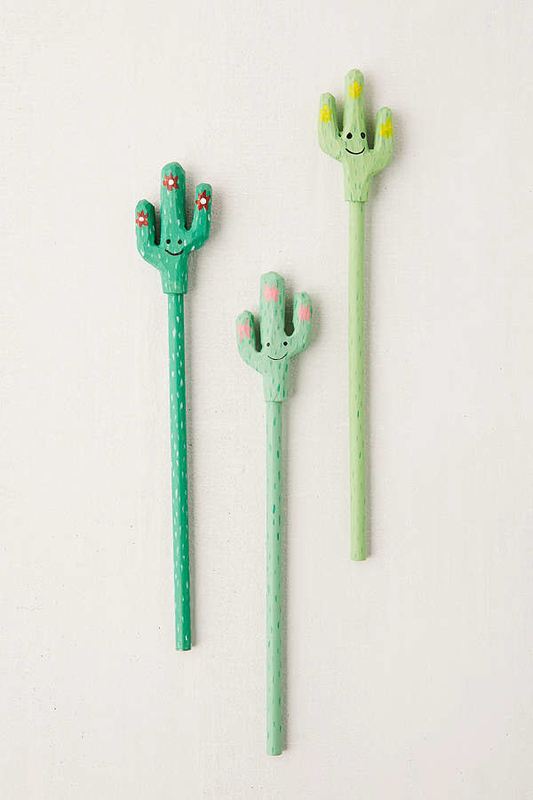 A super cheap, inflatable cactus that will instantly make any room 100 times more fun. 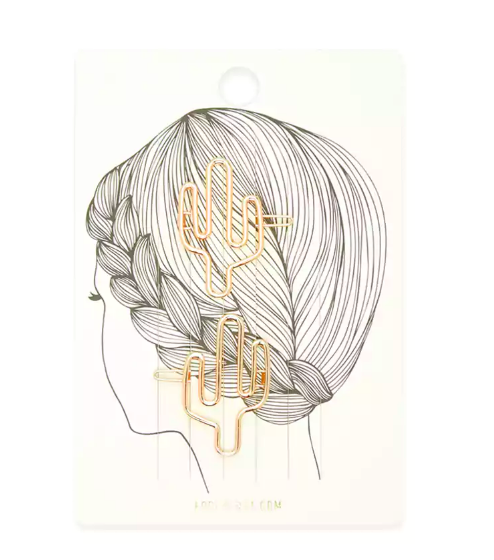 Get an instant cactus anywhere. Get it on Amazon for $4.21. 7. A pair of impossibly cute and chunky heels for bringing Santa Fe style with you wherever you go. These block heels were made for walking and that's just what they'll do / one of these days these block heels are going to respectively walk around a cactus. 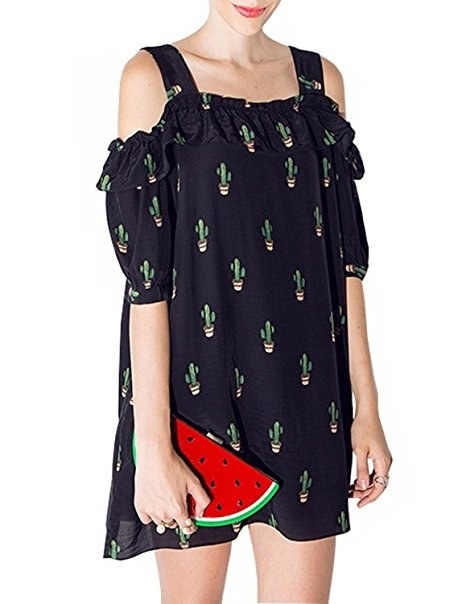 Get it on Modcloth for $79.99 (available in sizes 6-11). 8. A pool float that's made of strong PVC, which is good because a pool is no place for a real cactus. Seriously, cacti don't need that much water. Get it on Amazon for $33.99. 9. A classic soap on a rope that you probably didn't realize you needed, but definitely do. Be the envy of your dorm with this hanging from your caddy. Get it on Asos for $8.50. 10. A super flattering one piece or adorable mixed pattern bikini for hanging out on the sand. Get the one piece on Modcloth for $59.99 (available in sizes XS-XL) or the bikini on Amazon for $26.99 (available in sizes S-XXL). 11. A cozy looking duvet cover that will lead to you sleeping in every morning. Get it on Urban Outfitters for $80+ (available in three sizes). 12. A metal mug perfect for hiking through the West to do some cactus-watching. Have some coffee amongst the saguaro. Get it on Amazon for $13.90. 13. 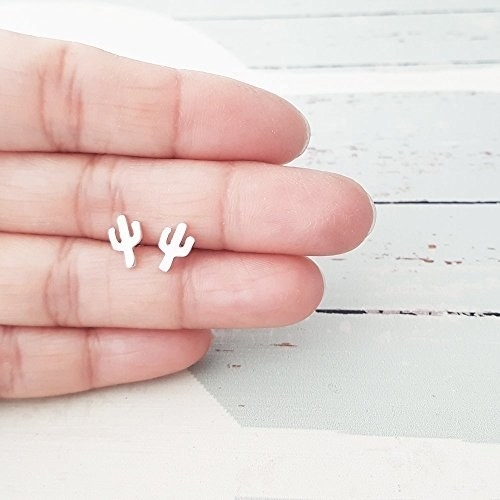 A collection of candles that look like real cacti but with less maintenance. Instead of water, just add fire. Get six on Amazon for $11.59. 14. A simple skater dress or cold shoulder number for showing up to the party looking sharp. Get the purple skater dress on Modcloth for $59.99 or the cold shoulder dress on Amazon for $18.99. 15. A white or pink button-down perfect for watering plants in. 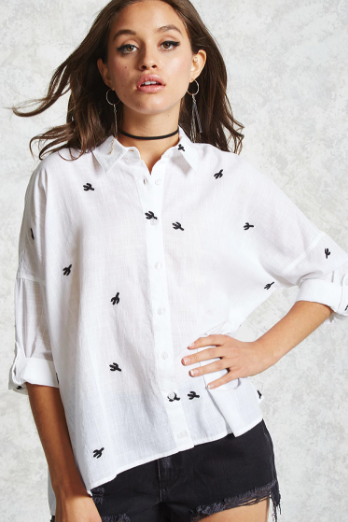 Get the white shirt on Forever 21 for $22.90 (available in sizes M-XL) or the pink shirt on Amazon for $14.99+ (available in sizes S-XXL). 16. A collection of socks you'll never want to cover up with shoes. 17. A pair of hair clips we can all agree are in the best possible shape. brb ordering like a million of these things. Get it on Forever 21 for $2.90. 18. A couple of impossibly cute dryer balls to save you from prickly clothes. Suddenly laundry doesn't seem like such a bad chore. 19. 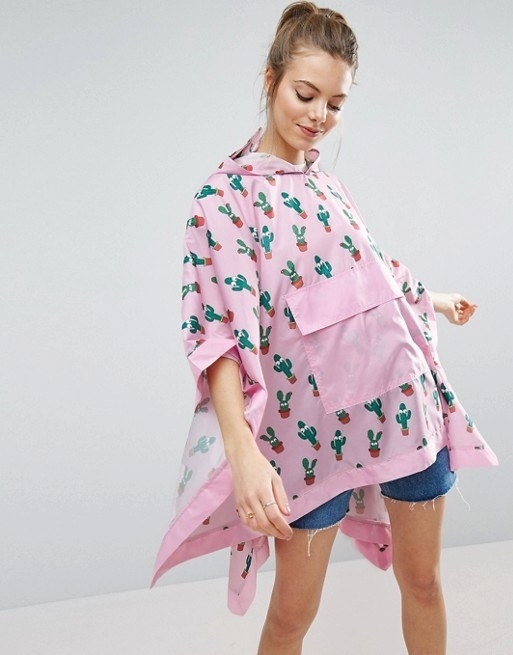 A poncho to keep you dry, because we can't all live in an arid climate. This thing is positively adorkable. Get it on Asos for $15.50. 20. A beautiful tapestry that takes the work out of deciding what to put on your wall. Just cover the whole thing up! Get it on Amazon for $19.90. 21. A gold marquee light perfect for adding a little dazzle to your room. Get it on Asos for $16. 22. A quirky cotton swab holder that makes it look like the desert is having some unseasonal snowy weather. 23. 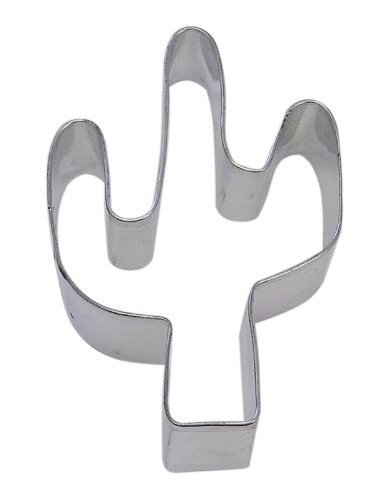 A metal cookie cutter for baking the cookies of your dreams. 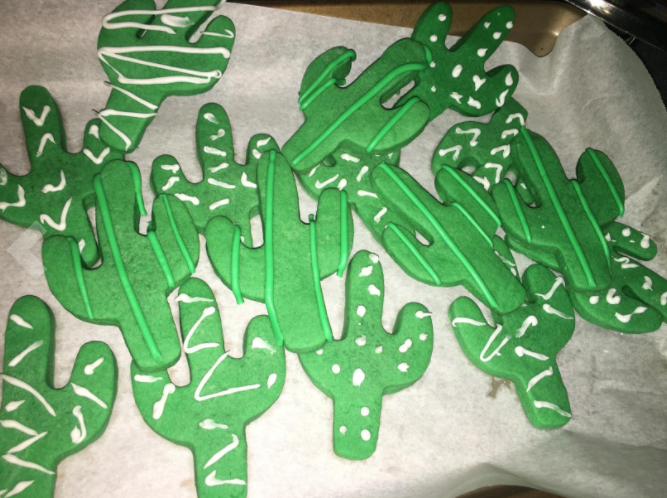 Like with a real cactus, be careful handling this sharp cutter. Get it on Amazon for $4.01. 24. A set of erasers that will encourage you to make mistakes all the time. That is, if you can bring yourself to actually use them and ruin their perfect shape. Get it on Amazon on for $9.12. 25. An iron-on patch for adding to clothes to make them perfectly southwestern. Now you just need a ton of turquoise. Get it from Wildflower + Co. on Etsy for $5. 26. 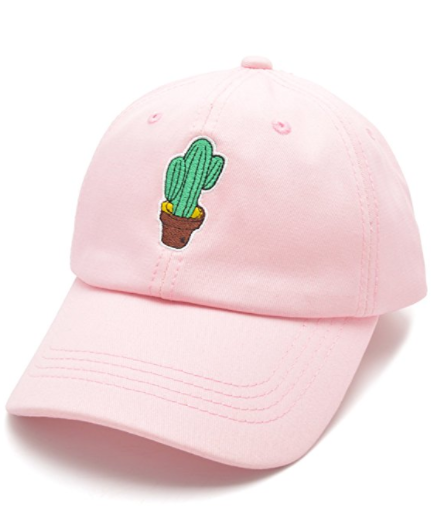 An embroidered hat to keep your eyes shaded while walking through the desert, admiring cacti. 27. A canvas laundry hamper with handles and everything. It'll look so much better than that mesh bag you've been using since college. 28. A transparent phone case for keeping your phone as safe as needles keep a cactus safe. The rubbery texture makes getting the case on and off a snap. 29. A box of prickly pear candies for people who want to live like a true Arizonian. If you haven't had these, you're seriously missing out. 30. A charming gray messenger bag that even comes with a little cactus keychain. It's honestly worth it just for the charm tbh. 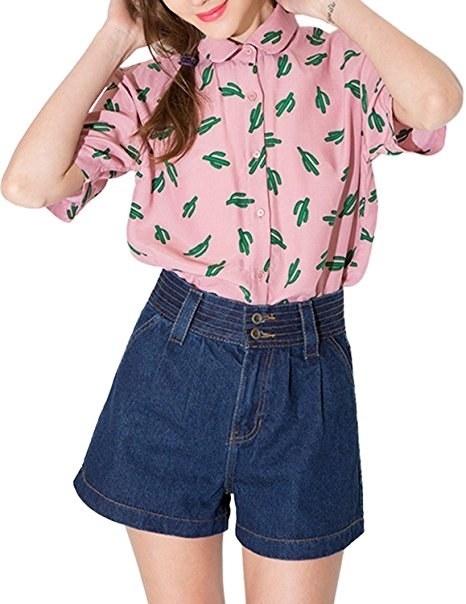 Get it on Modcloth for $69.99.